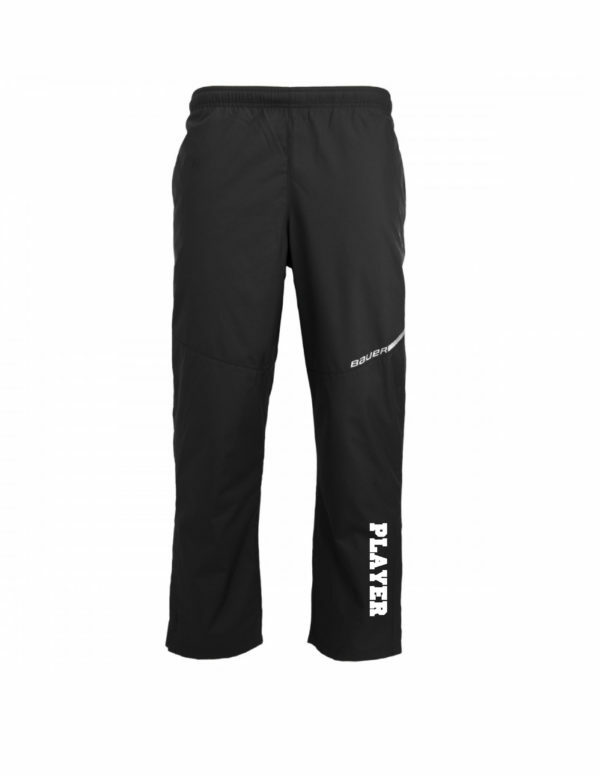 Bauer Flex warm-up pants with your player’s last name embroidered on the left pant leg. 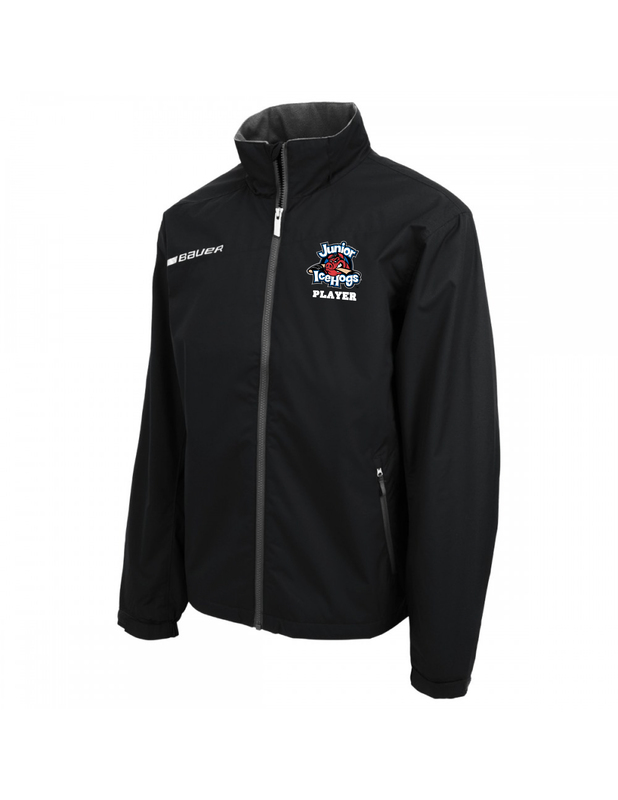 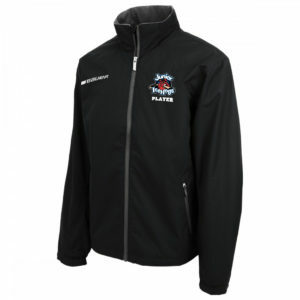 Bauer Flex warm-up jacket with your player’s first name embroidered under the embroidered Jr Ice Hogs logo. 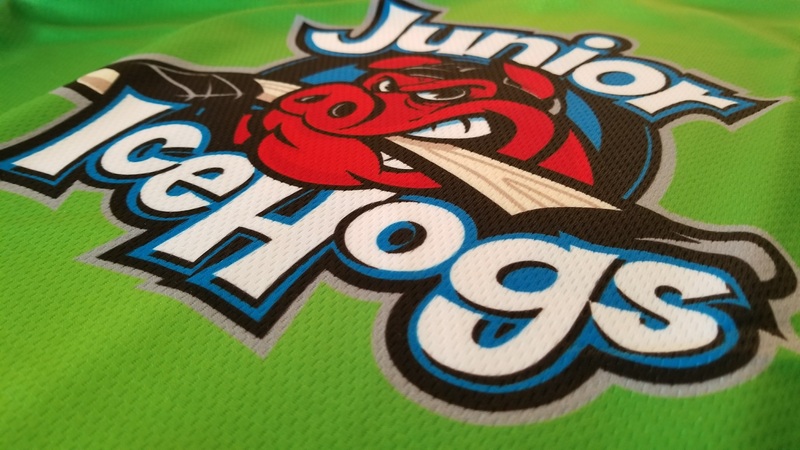 Dye-sublimated custom jersey with matching socks. 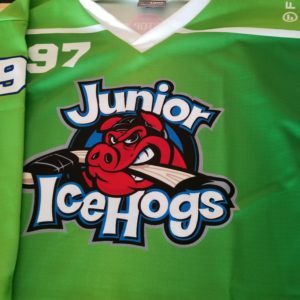 Socks will be sized according to jersey size ordered. 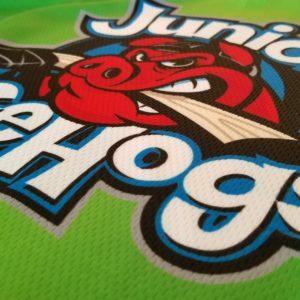 Numbers are being provided to us via the Park District and will be matched up with the roster.